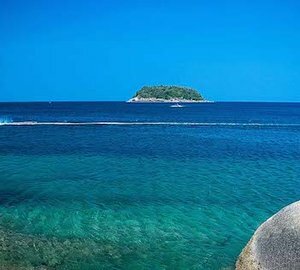 Thailand is becoming ever more popular as a luxury yacht charter destination and you too can discover its allure with timeless superyacht SENSES. 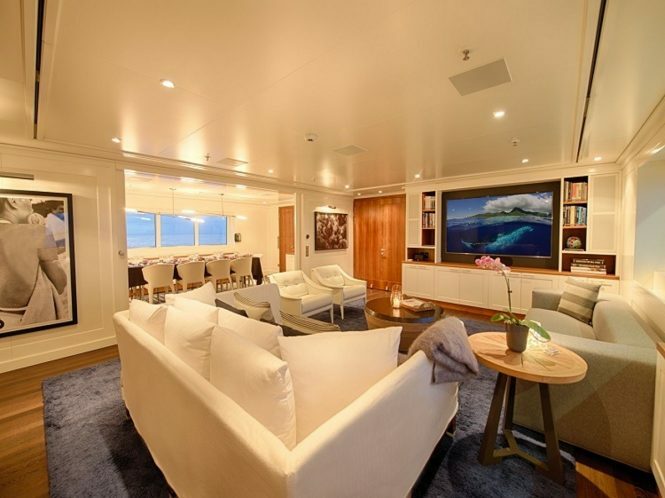 Built by Kusch Yachts in 1999 and last refitted in 2015, this powerful explorer yacht will feel like a home away from home with interior design work from Philippe Starck and an exterior from Francis Design. 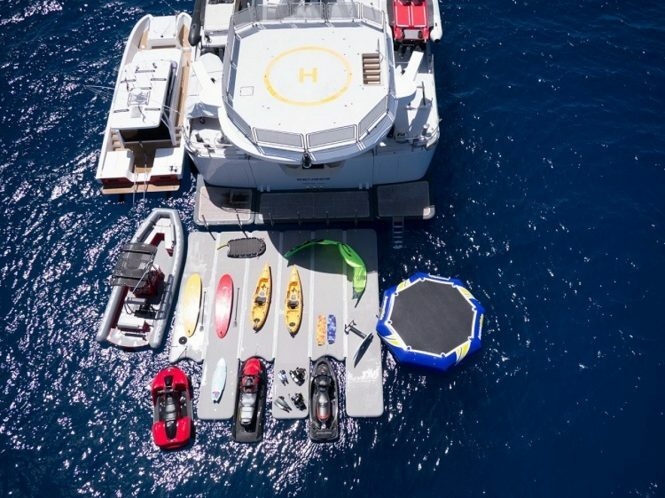 Among her amenities is a helipad, a gym with a massage table, PADI Dive Centre Certification and an enviable array of water toys. The warm and inviting main salon is the perfect place to welcome guests, with a clean and bright environment with bespoke furnishings both comfortable and eye-catching. Separate to the main salon, the formal dining room offers a timeless environment for marking special occasions and intimate meals between 10 guests. 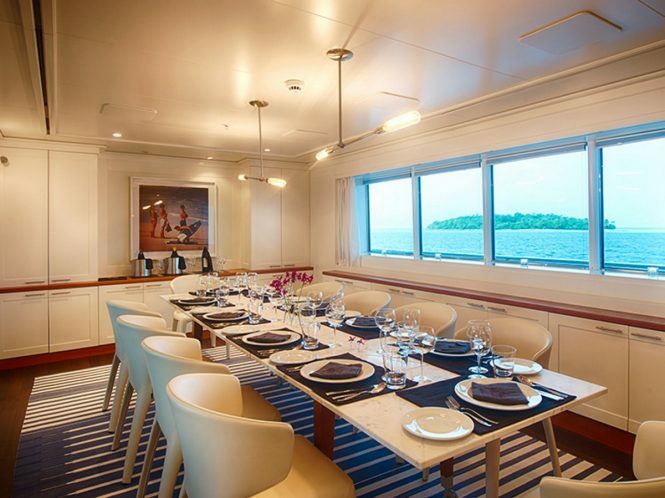 Alternatively, the upper deck provides a place for everyone to dine alfresco in the shade while watching the action of the Asia Superyacht Rendezvous Cup in Phuket, or the watching the sun sink behind the Andaman and Nicobar Islands. 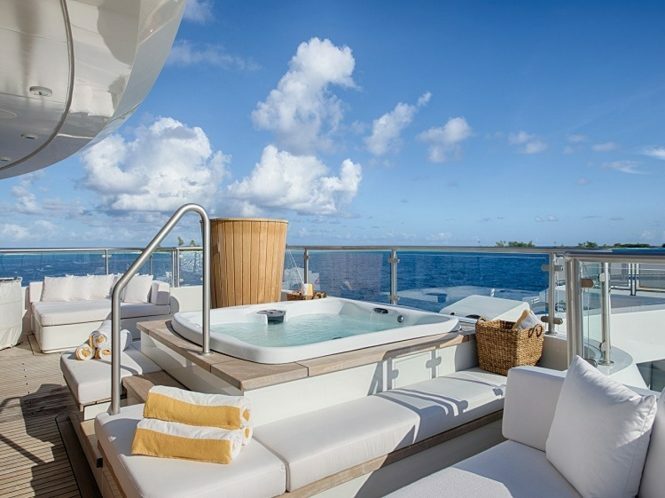 After a sumptuous meal, remain outside and catch up with family and friends in the shade or out in the sunshine, or take a dip into the forward Jacuzzi and ease tired muscles from hours spent exploring on land and in the water. 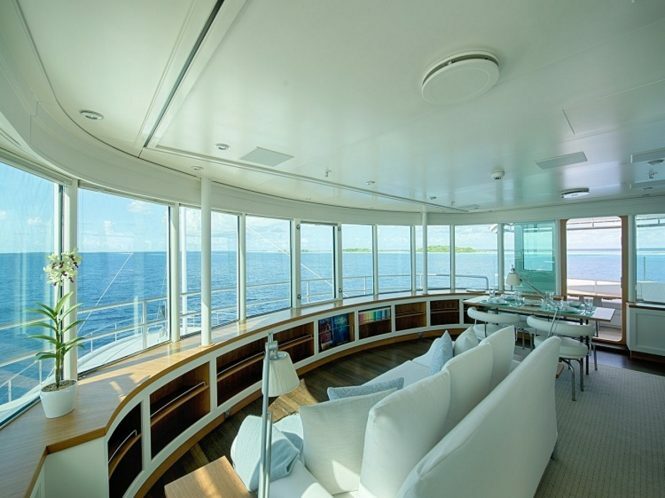 Day or night, the forward observation lounge makes for a tranquil retreat where guests can catch up on reading or listening to music, or watch the marine life out of the extensive windows. 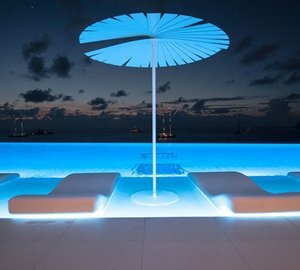 For a closer connection with nature, head outside and take in the fresh sea air while watching dolphins and manta rays from the railings. 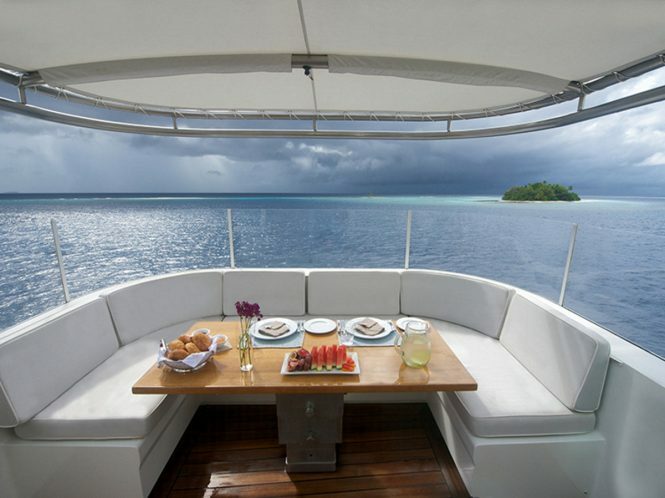 Up on the sundeck, guests are treated to unrivalled views while conversing over morning coffee and watching the next amazing destination come into sight. While in transit, there is a gym for guests to maintain a fitness regime or wear off excess energy. 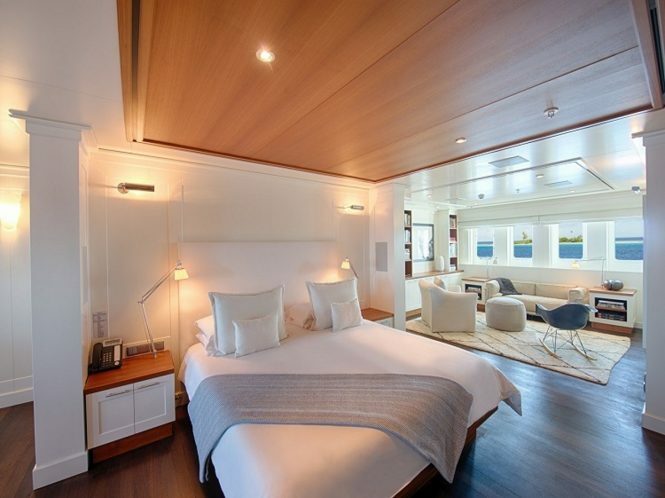 The accommodation sleeps up to 12 guests across 6 cabins: 1 Master suite, 1 VIP stateroom, 2 double cabins, 2 twin cabins and 1 convertible cabin. 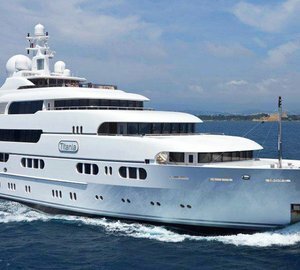 Her dedicated crew of 14 will provide everything you and your guests require for an exceptional cruising experience among the islands of the Andaman Sea or the Gulf of Thailand. 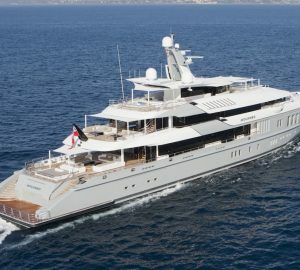 Superyacht SENSES is ready for winter charters in Thailand from $325,000 USD per week plus expenses. Contact CharterWorld for more information and to make a booking. 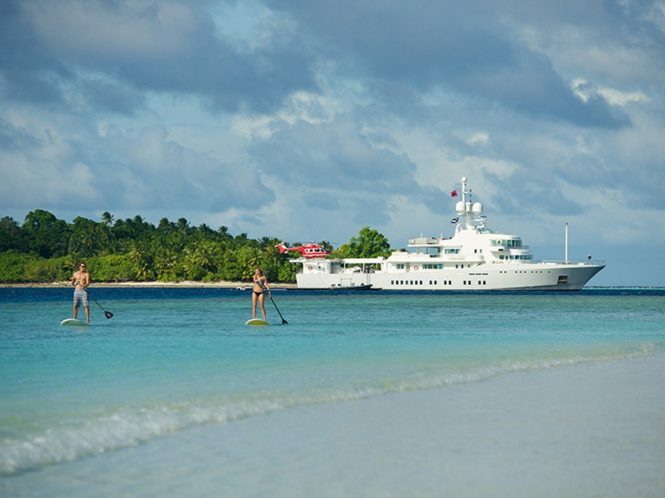 Please contact CharterWorld - the luxury yacht charter specialist - for more on superyacht news item "Charter luxury yacht Senses among the exotic islands of Thailand".